We now know that yeast and brewing temperature make the difference between the two types of beer, lagers and ales. We also know that both beer types are made up of a variety of styles. But generally speaking, what is the difference between an American Ale and a European Ale? You could break the styles down into eight different categories based on European country, plus one category of styles for the American ales. Read on to find out more. The major styles of European ale originated in Belgium, Germany, and England, but there are also Scottish, Irish, Finnish, and Russian styles. The Belgian heavy-hitters include dark and pale ales, dubbel, faro, oud bruin, red ale, lambics, trippel and quadrupel, saisons, witbier, bière de champagne, and bière de garde. The most famous ones in the US market are trippels, saisons, lambics, and bière de champagne. Belgian pale ales are the most popular style in that country. They are different from other pale ales in that they are delicate, not very bitter, and carry sweeter, toasty flavor tones. Leffe is one example of a Belgian pale ale that you can find in the US. The German ales have more regionally specific names than “pale” or “dark,'”and include such styles as Altbier, Weissbier, Hefeweizen, Kölsch, Roggenbier, Kristalweizen, and Weizenbock. Kölsch, which has recently become more popular on the American market, is a style that originated in Cologne (Köln in German). This style is lighter, very pale, and rather dry, but not particularly bitter. There is also a younger version of this style called “Frühkölsch” (Early Kölsch), which is extremely light and watery. English ales are perhaps the most numerous in variety of the European styes. These include Baltic porter, braggot, barlewine, bitter, brown, dark mild, Indian pale, pale mild, porter, stout, strong, extra special, milk stout, oatmeal stout, old, Russian imperial, and winter warmer. Many of the names for these styles denote their strength among other ales (dark mild, pale mild, strong, etc.). English stouts are dark brown to black in color and are made with roasted barley. The barley gives stouts their chocolatey, roasted coffee notes. Oatmeal stouts are brewed with the addition of oats, which give them their silky smoothness and a touch of a sweet flavor. Beyond the ales of the big three countries, there are also Finnish sahtis, Irish stouts and red ales, Scottish ales, and Russian kvass. 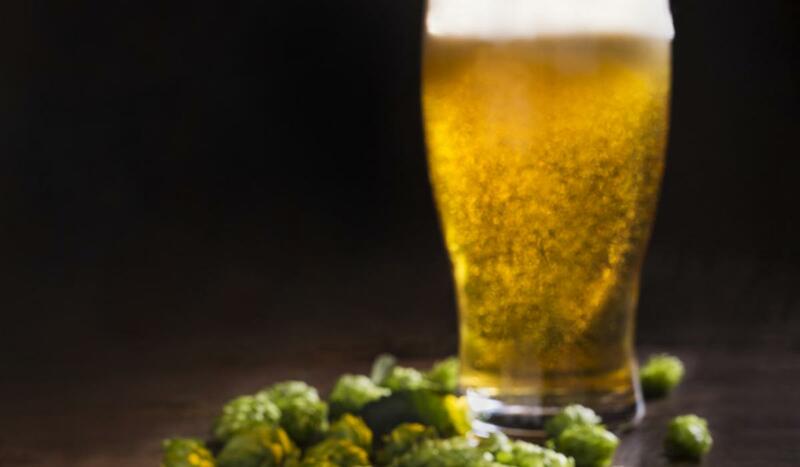 Most of these styles have been honed over centuries of European beer production and consumption, however many European brewers have also been inspired by the creativity of American craft brewers in recent years. Although German and Belgian beers have influenced American ales in many ways, the greatest influence comes from English ales. This is evident in the names of the many American ales, which include amber, black, brown, blonde, IPA and imperial IPA, stout and imperial stout, pale, porter, strong, wild, cream, pumpkin, and wheat ales. The American pale ale, also referred to as an APA, is based on the English pale ale. It is well-balanced but slightly hoppier, somewhat fruity,and can range from moderately to extremely floral. British pale ales are more balanced, maltier, and more buttery. American stouts are quite different from English stouts, and often take on inventive characteristics from having been brewed with coffee, in whiskey barrels, or with chocolate added. They are often easier to drink than English stouts. The American blonde is perhaps the American ale that most closely resembles the German Kölsch. Despite the similarities, this malt beer is a purely American creation. American blonde ales are golden in color, malty, fruity, and not very bitter; they feel very similar to a lager. Thus we see that the American versions of traditionally European ales have come a long way thanks to the spirit of creativity that characterizes most American brews, and some are truly unique. Yet the styles of the beers–pale, stout, wheat, etc.–are indicators of basic characteristics that you can expect across the board. What the brewer did with them, depending on country of origin, ingredients, recipe, and intentions, is where the story changes. In the next and final installation of Back to Beer Basics, we’ll go over the similarities and differences among the other classification of beers: Lagers. Again, the discussion will be split between American and European beers.